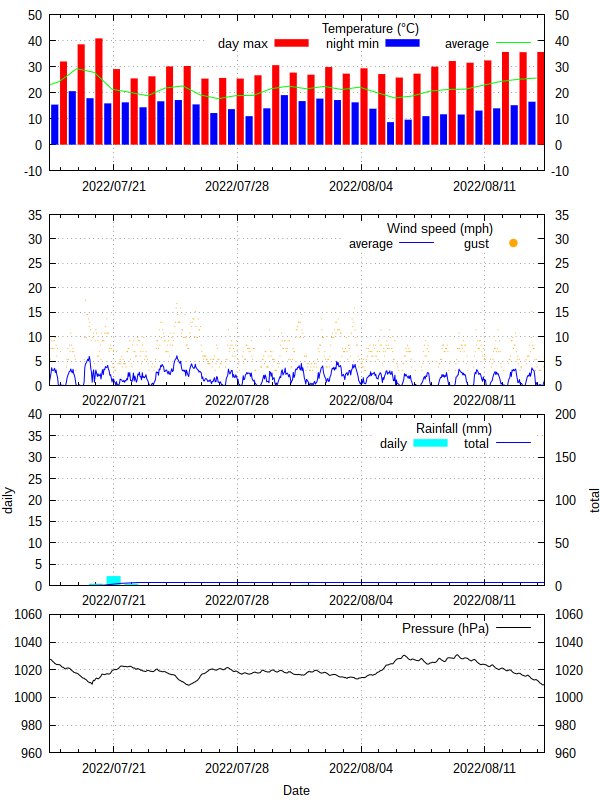 Recent amateur weather station readings at Stoneleigh, near Epsom, UK (N51.36 W0.25). No accuracy is claimed for this data. The dew point calculation is not valid for temperatures below freezing and the wind measurements are almost useless. Use at your own risk. Experimental RSS feed of daily data.